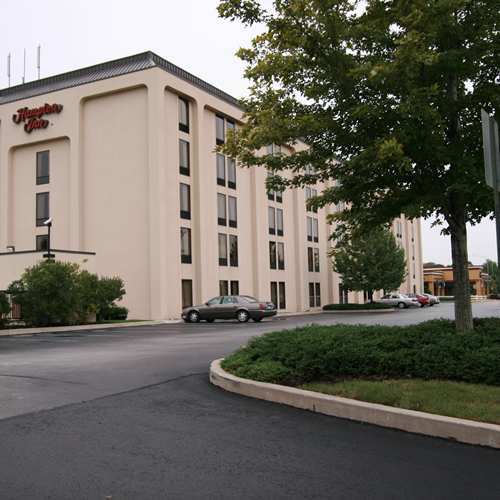 Located in a commercial area next to a casual chain restaurant, this hotel offers bright guest rooms with flat-panel TVs and multiple outlets for your electronic devices. Just off the front desk, guests can enjoy complimentary coffee 24 hours a day, an ATM and comfortable seating next to the lobby fireplace. Smoke free premises. 136 units. 5 stories, interior corridors. Accessibility (Call). I-476 exit 18B (Norristown/Chemical Rd) northbound, 0.3 mi w; exit southbound, use ramp to I-276 (Pennsylvania Tpke) and exit immediately at exit 333, Germantown Pike E ramp, just e to Chemical Rd, then 1 mi s. Located in a commercial area. 2055 Chemical Rd 19462.